Blueberries are my favorite option for an afternoon snack. I blend up some with yogurt, banana and almond milk for a glass of healthy smoothie. Blueberries may be small but they're packed with a lot of nutritional benefits. I love it so much even if they are tucked inside a muffin, pie or bread. 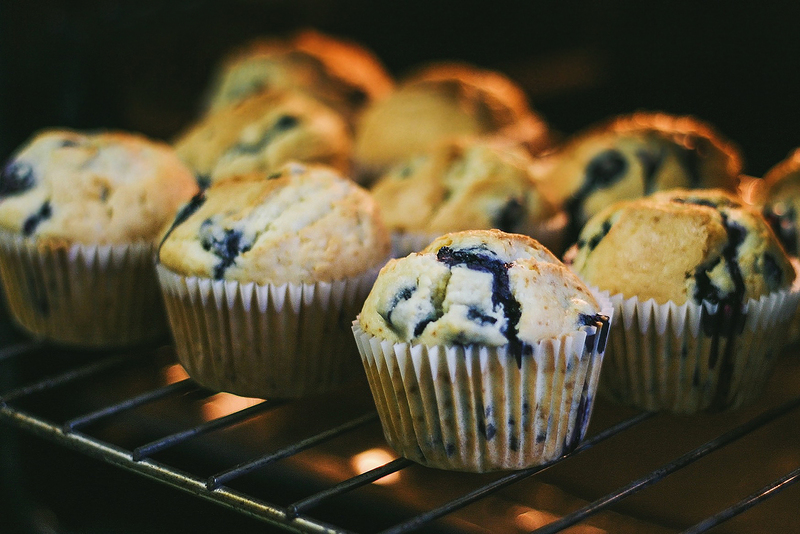 I'm going to show you a very easy blueberry muffin recipe that is just as good as the bakery ones. I added a subtle twist of fresh lemon zest making these muffins the perfect treats for any day - smells amazing as they bake too! 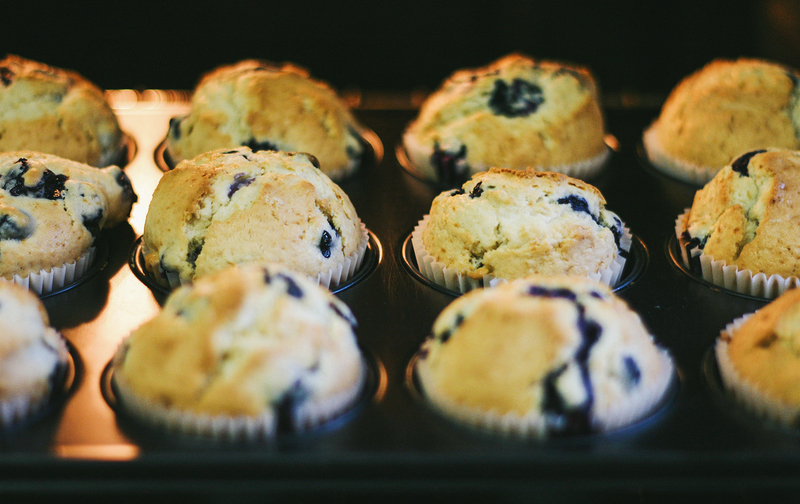 These incredibly moist muffins bursting with juicy blueberries are a sure hit with the whole family. Toss blueberries with 1 tbsp of flour to coat. This will prevent blueberries from sinking to the bottom while baking. Mix dry ingredients in a large bowl. Combine the flour, baking powder, baking soda and salt. In a separate mixing bowl, beat melted butter and sugar with an electric mixer until light and fluffy. Place the sour cream, milk, lemon zest, eggs and vanilla. Whisk together until smooth. Add butter mixture to the dry ingredients slowly until the dough comes together. Gently fold the blueberries into the mixture. Place a muffin liner in each well of the muffin pan. If you don't have muffin liners, grease the inside with butter or vegetable oil. Spoon the batter into the muffin cups and bake for 20 minutes, until the tops are golden and tooth pick comes out clean. Let the muffins cool for 5 minutes before removing from the pan. They stay moist for days; simply reheat in the microwave to refresh. 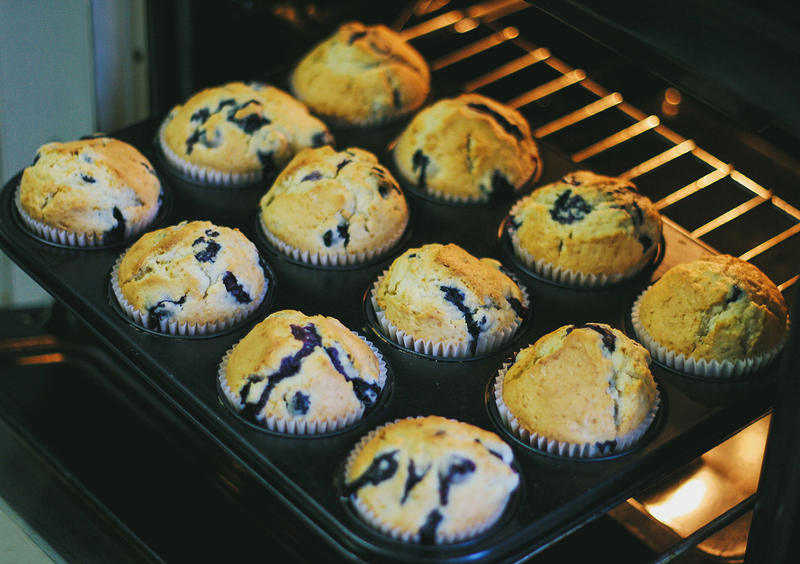 Enjoy your delicious batch of homemade blueberry muffins!